Seems like every description of New Zealand mentions Lord of the Rings. Yes, this is where the movies were filmed, bringing attention to the geographic wonders of this far off land. Glaciers, fiords, mountains, vast plains, subtropical forests, miles of coastline with beautiful beaches, all this can be found. But don’t forget that there are also people living there! Bustling cities, a vibrant economy, first-rate universities, sports of every variety – why wouldn’t you choose New Zealand as a destination? ELI can arrange an internship for you in either Auckland - the southern hemisphere's fastest growing city, or Wellington, the capital of New Zealand. If you are looking for a serious internship, and have relevant background in the field, we should be able to arrange just what you're looking for. We can't describe all the possibilities waiting for you. Here are a few examples, followed by a comprehensive list of fields that are available to the qualified applicant. 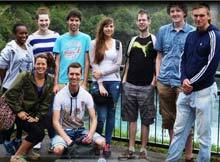 A proper visa is requiered of all participants in the New Zealand internship program. Theoretically, anyone with good English skills and appropriate background in the field can participate in the program. Unfortunately, visas can be very difficult for many nationalities. We have no control over this, and can do little to help you other than sending you to the New Zealand government website. In most cases, our interns should travel on the Working Holiday visa. Many nationalities qualify for this, but there may be quotas in place. These are listed on the New Zealand government website. US, Canada, UK, France, Germany, Netherlands, are among the countries that have no quotas and should have no problem getting the visa. Citizens of Canada and the UK can stay up to 23 months. Others are limited to 12 months. 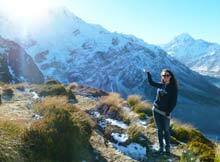 The working holiday visa is great because it allows the participant to work legally in New Zealand. We do not offered paid internships, but you are free to pursue paying work outside of your internship. If your country has a quota, we recommend trying to get the visa first. Once you have it, then consider applying for an internship. We cannot refund your deposit if you apply first and then fail to get your visa. This option may be used by those who are required to undertake an internship as part of their course by an institute in their HOME country. This is the Student and Trainee Visa (WE1). Once again, if you are not from one of the countries listed above, we strongly recommend that you check with a New Zealand consulate/embassy on whether this might be possible for you. This method is also a good choice if you think that you might want to save the working holiday option for another time - it may only be used once. Most interns stay in shared apartments. You always have your own bedroom and either your own bathroom or a shared bathroom with a small number of people (2-4) and shared kitchen facilities. There is also a shared communal area such as a TV or Pool room. All apartments have internet. The best thing to do if you go to New Zealand for an internship is to arrange your insurance from an insurance provider in your home country. The reason is that claims are made after the event, and sometimes you will be back in your home country. Having said that, your insurance from your home country will assist you when overseas. It is important to get health and travel insurance. There’s probably never been a better time to travel to New Zealand, and with an opportunity to live and work there, you’ll probably never have a better reason to go. ELI Abroad can place you in a resume-enhancing, confidence-boosting, skill-sharpening internship or volunteer position in one of several exciting cities of New Zealand. As you work, you’ll have a chance to explore this fascinating corner of the world, meet its welcoming people, experience Kiwi culture and make friends for life. This should be your destination of choice if you want to grow as a person while experiencing an unforgettable adventure. New Zealand is having its “moment.” Its economy is growing, its current government is effective and stable, its infrastructure is very tourist-friendly and its scenery is unsurpassed. ELI’s extensive connections means we can place volunteers and interns in exciting, enriching settings: local nonprofits, big corporations, government agencies. The selection of opportunities is enormous: from science labs to television newsrooms, from museums to hospitals and IT centers. Contact us if you don’t see your specialty listed on our long list of placements: ELI will be happy to try to create a custom position to fit your particular needs. You’ll live and work in one of the most scenic nations on earth. People travel from all over the world to see New Zealand’s unforgettable natural treasures -- its mountains, glaciers, beaches, rainforests and abundant wildlife. For all its attractions, New Zealand is fairly small, and you can see and do a lot even in a weekend. No one plays harder than Kiwis. If you love the outdoors, if your heart sings at the sight of an unspoiled natural setting, if you love adventure, good wine, good food and good people, you will feel right at home in New Zealand. New Zealand is waiting for you. Live the Kiwi dream with ELI. For all its wealth of sightseeing, New Zealand is actually pretty small, and getting around is quite doable even without renting a car. (ELIers, unless you’re very comfortable with driving on the left side of the road, we recommend public transportation.) You can calculate distances between the various sites here. The cities have local busses and tram service, and are linked by affordable intercity bus services (InterCity and Kiwi Experience) along with local airlines; Air New Zealand and Jetstar are two popular options.There’s also train service, although most of the routes are of the sightseeing, rather than transportation, variety. Whether you’re an American, European, Mexican or from Central/South America, odds are you’ll begin your New Zealand adventure by flying into Auckland, on the North Island. And you’ll probably be exhausted: it’s a long trip from just about any starting point. Your first days in New Zealand will likely be a bleary blur of fatigue and irregular sleep. Even if you plan to leave Auckland for your volunteer/internship placement, consider devoting some time to seeing New Zealand’s biggest city. There’s plenty to see; and those staying on in Auckland can use the city as a base for exploring this beautiful island, its pristine beaches, forests, volcanoes and fascinating Maori culture. Lonely Planet lists Auckland in the top ten of its 2014 as Best-In-Travel sites, citing its cuisine, culture and coastal scenery as the city’s main attractions. Start exploring it with a visit to Waitemata Harbour (also known as the Auckland Harbour) and, if you’re up for a splurge, the top of Auckland Bridge, an adrenaline-pumping climb that rewards you with spectacular views of the city. (Adrenaline junkies might also consider bungee jumping off the iconic Sky Tower, but ELI Abroad does not endorse this idea!) The Auckland waterfront is the newly hip place to be, with plenty of boutiques, eateries and shopping to keep you entertained. Hipsters will also feel very at home on Karangahape Road a destination for eating, nightlife and shopping for those who can’t afford the much pricier Queen Street. In fact, the city boasts a world of stuff to do, whether you’re into a thriving arts scene or great shopping. You’ll get a good introduction to New Zealand’s history and culture at the Auckland Museum, and see spectacular pieces -- from Brueghel to Picasso and contemporary artists -- at the impressive Auckland Art Gallery. If you’re tired of indoors, chill at the peaceful Cornwall Park that surrounds the historic landmark of One Tree Hill. You will also get great a 360° panorama atop of the sacred Mount Eden: a ten minute hike will get you to the top of Auckland’s highest point. No visit to Auckland would be complete without venturing out to islands on the Hauraki Gulf; Waiheke Island, Rangitoto and Tiritiri Matangi, are particularly recommended. Just a few hours’ drive north from Auckland lies the fabled Northland: the birthplace of New Zealand, and home to empty subtropical beaches and ancient kauri forests. There’s plenty to see, from the peaceful beaches on the eastern side, to the rougher coast on the west. You can start your exploration by heading to Leigh-by-the-Sea, a pretty coastal village from which you can get to Goat Island Marine Reserve. The area is a magnet for snorkelers and divers, but to avoid crowds, best go midweek. With its turquoise waters, Bay of Islands has become one of the main tourist attractions in New Zealand. To truly understand the historical and cultural complexities in New Zealand, visit Waitangi, which is linked by bridge to Paihia, the main entry point to the Bay of Islands. Russell, the first European settlement in New Zealand, was a place originally so debauched it was once known as “The Hellhole of the Pacific.” The farther north you go, the fewer tourists you will come across, though the area has began attracting savvy, off-the-beaten path travelers.This whole part of New Zealand, called “Far North,” is notable for its rich Maori heritage; you will find the area soaked in Maori culture and myths. The beautiful Whangaroa Harbour, Ninety Mile Beach and the country’s northernmost point, Cape Reigna, are all worth checking out as places of serene beauty avoided by mainstream tourists. Balmy weather, spectacular beaches, historic mining towns and dramatic coastal rock formations of the Coromandel Peninsula make it a top getaway destination for residents of Auckland. You can do just about everything here: learn about New Zealand’s mining history, hike or bike ride as you explore the forests and waterfalls of Kauaeranga Valley, dig into the hot thermal pools at the famous Hot Water Beach, or feast your eyes on the stunning Cathedral Cove. Farther south, chill on pristine sands of Waihi Beach before and hitting the eateries and clubs in the famous beach resort town of Mt. Maunganui and Tauranga, one of the nation’s fastest-growing cities. You smell Rotorua before you see it, but that’s a good thing. One of the biggest tourist attractions on the North Island, this sulphurous thermal area has hot pools, geysers, and an eerie landscape. When visitors aren’t watching geysers erupting, they’re kayaking, hiking, bungee jumping, bike riding and -- after many more adventures -- soaking in local spas. Rotorua is also a place of spiritual and historical importance to the Maori, and the local New Zealand Maori Arts and Crafts Institute and other popular cultural venues offer many opportunities to study these fascinating indigenous people. Heading south west from Rotorua, you reach the enormous Lake Taupo, a stunning natural wonder. With its unbelievably blue water reflecting the three jagged volcanic peaks of the nearby Tongariro National Park, its Craters of the Moon, its waterfalls, boiling mud pools and a wealth of available activities (adrenaline junkies, this is your place! 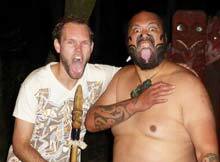 ), this area is another can’t-miss North Island attraction. Trust us on this: Waitomo’s world-famous limestone caves and surreal glowworms have to be seen to be believed. From Ruakuri Cave to Glowworm Cave, your mind will be blown! The nearby Mangapohue Natural Bridge and Piripiri Caves are also worth a look. New Zealand has several wine regions, but this area, on the coast along Hawke’s Bay in the south east of North Island, is one of the most famous. You can tour its approximately 35 wineries via the Hawke’s Bay wine trail, along which you will also find many eateries and galleries. Check out two interesting towns in the area: the beautiful art deco architecture in the town of Napier, and the lively food scene in Hastings. “Hipsters wanted!” That’s what Wellington, New Zealand’s charming capital, seems to be saying, and the call has been answered. In addition to being the country’s political center, Wellington also has, well, an attitude. Rough Guides calls it an “urban jewel.” In other words, this is a town worth staying a few days in, at the very least. (Just brace yourself for its notorious winds.) 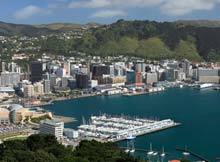 The center of Wellington is very walkable, with much of the action -- restaurants, bars, galleries -- set around Willis Street, Courtenay Place, Cuba Street and the waterfront at Queens Wharf. You’ll get magnificent views of the city and its surroundings from the top of Mount Victoria or Kelburn, reachable by a funicular Cable Car. (The same Cable Car will take you to Wellington Botanic Garden, where the views are as remarkable as the flora.) Nature lovers will be stunned by the variety of animals and rare bird species found at Zealandia, a groundbreaking nature preserve in a beautiful foothill setting, while literary types will gain insight into the life and time of renowned writer Katherine Mansfield, whose home is now a museum. The superb Museum of New Zealand is highly recommended for its fascinating exhibits on New Zealand’s history and culture. Check out the nearby Waitangi Park and the elegant waterfront of Oriental Parade, a posh multi-use area that includes prestige addresses and a pretty beach. The travel experts at Lonely Planet call call it “possibly the world’s most scenically diverse island” and “one of the world’s ultimate outdoor playgrounds.” What does that mean to you? Endless adventures amidst some of the most gorgeous scenery in the world, that’s what. Let’s go! You’ll be instantly wowed by South Island. Most visitors arrive by ferry from the North Island at Picton, and then make their way towards Nelson and Marlborough, an area New Zealanders sometimes call the “mainland.” It’s a gorgeous region: with its jagged coastline, many lovely inlets, golden beaches, welcoming cities and world-class wineries and whale watching, you will be reluctant to leave. In Nelson, voted one of the best places to live in New Zealand, you can eat well, chill at many cafes, take part in exciting festivals and see some unique sights. Be sure to check out the very fun World of Wearable Art and Classic Cars Museum; it’s a Nelson “must,” so allow at least a couple of hours. Some of the best coastal hiking in all of New Zealand is at the stunning Abel Tasman National Park nearby. To the northwest of Nelson, the magnificent Kahurangi National Park, the second-largest in the country, beckons with its cliffs, beaches and granite peaks, offering a wealth of trails and sights. At times you may feel like you’ve reached a forgotten paradise when you make your way to Golden Bay; due to the relative difficulty of crossing the Takaka Hill area, Golden Bay remains somewhat off-the-beaten path despite its beauty and sunny, reliable weather. Those opting not to go towards Golden Bay from Nelson head south to Marlborough’s famous wineries and the magical watery valleys of Marlborough Sounds, another New Zealand “must.” You can use Blenheim as a base for wine visits, on your own, on bike, or with a guided tour. The area’s importance can’t be overstated: it produces the vast majority of New Zealand wines. Be sure to sample its speciality, sauvignon blanc, although plenty other varieties are grown here as well. There are about 40 wineries open to the public; among the more popular in the area are Wairau River, Framingham Wines, Johanneshof Cellars, Te Whare Ra, among others. Or, you can sample them all, as you follow along the Marlborough Wine Trail. To the southwest of Marlborough lie the Southern Alps, which extend through much of the island. They form the highest mountains in Australasia, with Aoraki/Mount Cook summiting at 3,724 meters (12,218 feet.) For mountain lovers, the Aoraki Mount Cook National Park is a must (famed Everest climber Sir Edmund Hillary trained here;) the snow-covered peaks towering over glacial lakes (Lake Tekapo in particular) make for stunningly unforgettable scenery. Those preferring to stay on the eastern coast can head south from Marlborough, towards Christchurch, about a four hour drive. If you’re going this way, stop to take in the Ohau Stream walkway and seal pups; whale watching at Kaikoura (“a magical world where mountains meet the sea”) is also world-class. The largest city on South Island, Christchurch makes for an excellent base as you explore the Canterbury region to the west and the southern coast towards Otago. The opportunities to play are almost endless in these areas, from kayaking, mountain biking, hiking, to ballooning, sunbathing and skiing. Christchurch itself also offers plenty to see and do. Devastated by terrible deadly earthquakes in 2011 and 2010, Christchurch is very much rebuilding and rebounding, quickly becoming one of the more vibrant cities in all of New Zealand. You’ll get a glimpse into the pre-earthquake colonial look and feel of Christchurch in the areas surrounding the central Cathedral Square, and get a magnificent view of the entire area from the Christchurch Gondola. The Botanic Gardens in the city’s sprawling Hagley Park, Orana Wildlife Park and Willowbank Wildlife Reserve are huge attractions for nature lovers. The ReStart “mall” where you can shop, eat, drink and chill, along with the renovated Christchurch Art Gallery, are as much a testament to the area’s lively scene as they are to locals’ commitment to post-earthquake reconstruction. Don’t miss the Banks Peninsula just south of the city, with its harbors and curvy coastline, or the quaintly French Akaroa village. About three hours to the south, Timaru offers coastal and urban pleasures packed in one small-city setting; the historic neighborhood and popular blue penguin colony make Oamaru definitely worth checking out. (In fact, Lonely Planet calls Oamaru “New Zealand’s coolest town.”) As you continue south, be sure to see the much-photographed Moeraki Boulders, and add the pics to your New Zealand album. Scenery and beaches abound in the Waitaki region which you will pass while heading south to Dunedin, the whiskey-producing city (and home to the University of Otago, the country’s oldest) with a proudly distinct Scottish flair. Edwardian and Victorian architecture, including the country’s only castle, will remind you of New Zealand’s colonial past, but the city’s active and youthful nightlife will quickly transport you to the vibrant present: after all, when the school is in session, this is home to 25,000 students. The center of town is set around The Octagon, an area that also boasts some of the city’s more important buildings along with plenty of eateries and cafes. 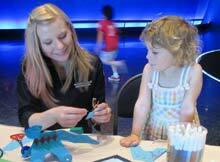 Don’t miss the impressive Otago Settlers Museum, and the informative Otago Museum, one of the nation’s largest. Baldwin Street, the world’s steepest residential street, will make for some fun photographs; mountain bikers will be thrilled (and challenged by) Signal Hill which boasts of “New Zealand’s best downhill trail” - and affords wonderful views of the city. This being New Zealand, you know there’s a beach nearby, so head to St. Clair Beach or St. Kilda, popular local haunts for swimming and surfing. Just south of the city, the sea has carved caves and arches at the very photogenic Tunnel Beach. Dunedin is also a good place to stay while you experience the nearby superb wildlife (albatross, sea lions, penguins) and eco-tourism on the Otago Peninsula, which CNN once called “one of the top ten most romantic places to propose marriage.” You can join a tour or explore on foot and marvel at how empty and pristine these areas have remained despite their inherent interest to travelers from all over the world. Check out Taiaroa Head and the Royal Albatross Centre to see these magnificent birds; Pilots beach for a glimpse of blue penguins and Sandfly Bay to spot the rare Yellow-Eyed Penguin. Known simply as “Central,” this rugged, geographically diverse region to the west of Dunedin is both New Zealand’s magnet for adrenaline junkies as well as a place for sheer relaxation. It’s heaven for hikers, mountain bikers, bungee jumpers, paragliders, sky divers, kayakers, whitewater rafters -- as well as golfers, fishermen, wine lovers and foodies. At the heart of this area is Queenstown - a gorgeous little city, and one of New Zealand’s top tourist destinations. Because of its popularity, the area can get crowded; fall (March to May) and spring (October through November) tend to be slightly quieter. Alternatives to Queenstown are the mellower Wanaka (55 km northeast) or the Glenorchy (41 kilometers northwest). Queenstown’s famous Lake Wakatipu, one of the cleanest lakes on the planet, offers fishing, boating and water activities of all kinds but no swimming (too cold.) Hikers can pick from dozens of breathtaking trails and there is mountain biking for age levels and abilities. If it’s extreme sports you want, local organizers are happy to comply. Yes, there’s a gondola that offers stunning views, and wine tastings in the area’s respected wineries. In the winter, the excellent ski resorts of The Remarkables, Coronet Peak, Cardrona and Treble Cone draw skiers and boarders from around the world. Among the can’t-miss experiences in the area are the fabulous Routeburn Track (trail) and a visit to the Fjordland National Park and its iconic Milford Sound, beguiling natural wonders of international fame. Stretching north from Wanaka, the rugged West Coast of New Zealand offers stunning sights - and few people. It has everything: sleepy mining towns; lush forests; rocky, wave-beaten shores; cascading waterfalls; glaciers, peaks, valleys and stretches of a breathtaking coastal road. By and large this part of New Zealand remains somewhat off-the-beaten path. And that’s precisely why many in-the-know love it. If you’re heading north from Central, the sites begin with Mount Aspiring National Park; the Rob Roy Glacier Track is a popular hiking choice here. 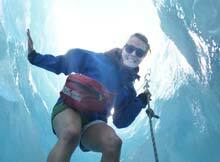 Farther north, the magnificent Franz Josef and Fox glaciers descend into rainforest, a can’t-miss sight. Lake Matheson offers photography opportunities galore, with New Zealand’s two highest peaks reflected in its waters. 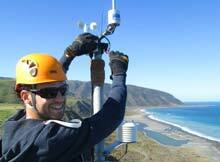 Hokitika is small, quaint town with a sizeable - and growing - art scene and a very pretty beach. The town of Greymouth could be a base for exploring Punakaiki and its famous Pancake Rocks and Blowholes. Lovers of fantasy - and New Zealand - know that much of what gave the “Ring” and “Hobbit” movies their power is the stunning Kiwi scenery. No trip to New Zealand would be complete without at least one “Ring” visit, but you have our permission to see them all. Whether on your own or with a guided tour, this trip promises to be something special. Otherworldly and mesmerising, White Island is located 50 miles from shore in the Bay of Plenty. It’s reachable by air and boat; those prone to sea-sickness should know the crossing can be rough. The island’s living volcano breathes hot sulphur and blazing hot gasses, and it’s been doing so since its discovery by James Cook in 1769. Just 30 miles off the southern end of South Island, across the Foveaux Strait, the lovely Stewart Island is the third largest island in New Zealand. 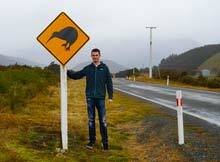 85% of Stewart Island is a National Park that attracts wildlife lovers and birdwatchers. It’s also a place known for spectacular nature hikes and sea kayaking. ELI recommends you invest in a good guidebook. Our favorites are, in no particular order, Lonely Planet and Rough Guides. Much of the information in these pages came from these very useful books. Many travelers also like to arm themselves with apps; Tourism New Zealand offers one to help you in your travels; other popular choices include itravelNZ and NavmiiGPS.